This Weekend, See NBM at MoCCA Arts Festival! This weekend (April 7th-8th), NBM Graphic Novels will be attending The MoCCA Arts Festival, a 2-day multimedia event and Manhattan’s largest independent comics, cartoon and animation festival, which draws over 7,000 attendees each year. With 400 exhibiting artists displaying their work, award-winning honorees speaking about their careers and artistic processes and other featured artists conducting workshops, lectures and film screenings, our Festival mission accelerates the advancement of the Society’s broader mission to serve as Manhattan’s singular cultural institution promoting all genres of illustration through exhibitions, programs and art education. 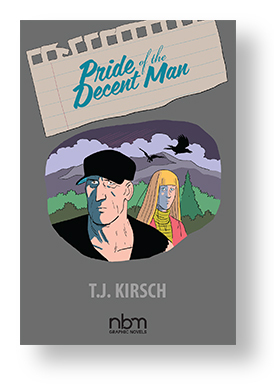 Appearing on behalf of NBM is T.J.Kirsch, author of PRIDE OF THE DECENT MAN. Also appearing from our sister company Papercutz is writer David Gallaher, who will be signing copies of his series, The Only Living Boy and High Moon. The 2018 MoCCA Arts Festival will take place at Metropolitan West in New York City with programming mere steps away at Ink48 (653 11th Ave). Author Stefan BlitzPosted on April 2, 2018 April 5, 2018 Categories Author Appearances, EventsTags MoCCA, Pride of The Decent Man, T.J. KirschLeave a comment on This Weekend, See NBM at MoCCA Arts Festival! Pride of the Decent Man: get a copy with an original drawing! (that sketchbook page is printed empty). Can’t get this on Amazon! Only from us. This launch of a relatively new author, TJ Kirsch, is getting many rave reviews, see more about it and order your copy with original art here. The Library Journal gave it a starred review, Steve Orlando, Noah Van Sciver and Van Jensen have all blurbed enthusiastically for it! Author NBM Graphic NovelsPosted on September 27, 2017 September 27, 2017 Categories Blog, New ReleasesTags Books with original art, Library Journal, Noah Van Sciver, Pride of The Decent Man, Steve Orlando, T.J. Kirsch, Van JensenLeave a comment on Pride of the Decent Man: get a copy with an original drawing! T.J. Kirsch (Pride of The Decent Man) at SPX. Anais Depommier (Sartre) signs for a fan. Author Stefan BlitzPosted on September 17, 2017 Categories Author Appearances, EventsTags Anais Depommier, Pride of The Decent Man, Sartre, SPX, tj kirschLeave a comment on SPX Signings! To close out the piece, Win mention this as a great comic to hand to even a non-comics-fan, and a musical pairing suggestion was made – a recommendation to spin Bob Seger’s “Mainstreet” while reading the book. I’ll have to try that myself. I’d also add another musical pairing – “Tender Years” by John Cafferty and the Beaver Brown Band, from the cult hit movie soundtrack Eddie & The Cruisers. There’s just the right amount of passion and nostalgia in that song to go along with Andrew’s story. Readers with a keen eye for detail will also notice Eddie Wilson’s iconic cut-off black shirt is the same one worn by Andrew Peters. To read the review in full, go here. 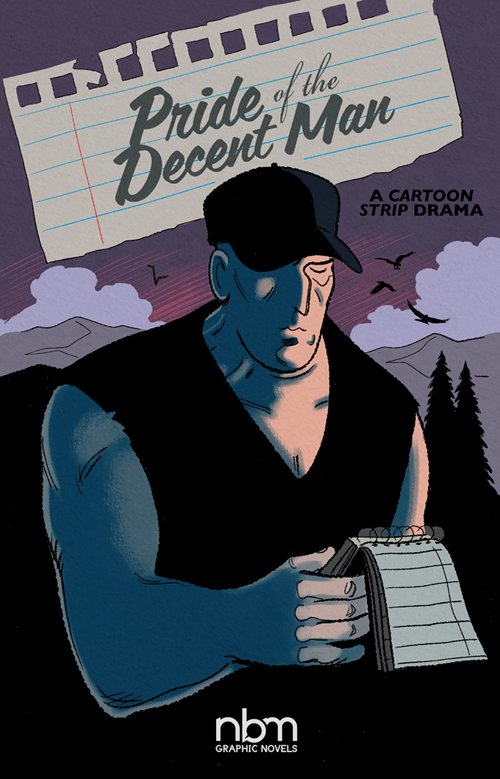 For more about PRIDE OF THE DECENT MAN, including how to order, go to NBM Graphic Novels. Author T.J. KirschPosted on August 29, 2017 August 30, 2017 Categories Blog, New Releases, ReviewsTags bob seger, eddie & the cruisers, john cafferty, Music, Pride of The Decent Man, reviews, tj kirschLeave a comment on Now Read THIS! Copies of Pride Of The Decent Man are beginning to arrive in the hands of readers. This is feels like the end of something, but also the beginning of another stage – promotion! It’s actually been two years (!) since sending off the initial short proposal for the book, and now it’s done, real, and ready to be (hopefully) enjoyed by the public. I’ll be making my first two appearances in support of PRIDE soon at the Small Press Expo in Maryland and the Brooklyn Book Festival in NYC. Details to come very soon! I’m also posting a new tour poster image I’ve got with some other dates as well. More are being added soon. Pride Of The Decent Man is now available through many fine booksellers. Thanks again – and thanks for reading. 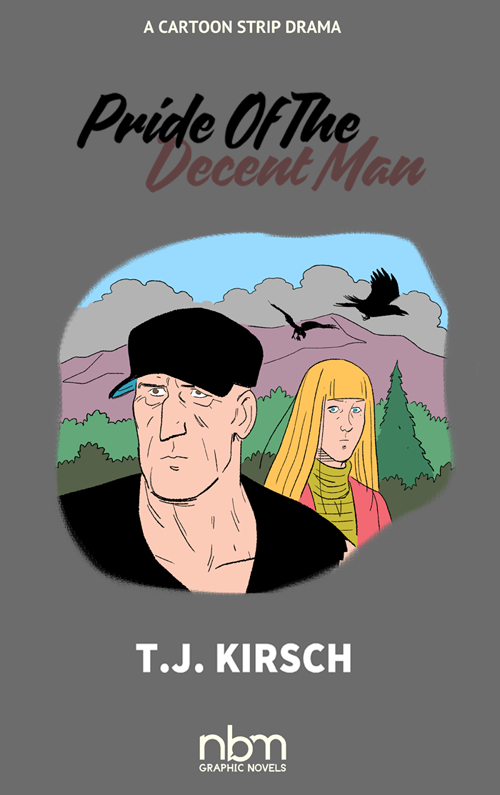 Author T.J. KirschPosted on August 22, 2017 Categories Author Appearances, Blog, Events, New Releases, UncategorizedTags comics, Graphic Novel, New Releases, Pride of The Decent Man, tj kirschLeave a comment on PRIDE lives! 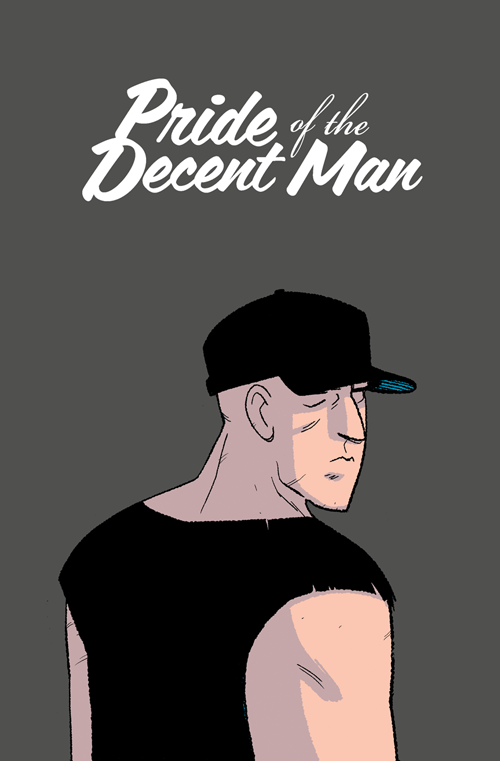 When working on the interior pages of Pride Of The Decent Man, I’d take a day or two and work on potential covers for the book. Here are a few alternates and rejected version of the book cover for PRIDE. ( you can click the images to see them at a larger size ). It’s always a nice change of pace to concentrate on single image after working on sequential pages for so long. I’d say some were more successful than others. There were elements taken from a few of these that made it onto the final design. There are things I like about each one, and definitely some things I could’ve done better. It’s a process, like anything else. It’s not wasted time, because in the back of my mind, I think – “this could end up being a good cover for a foreign translated edition!” If that were to happen, though, I’d end up wanting to redraw it anyway. 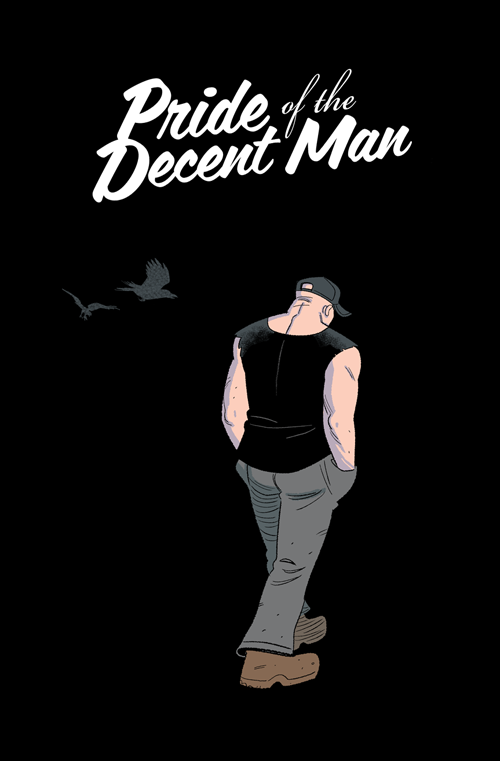 To find out more about Pride Of The Decent Man, including ordering info, go here. 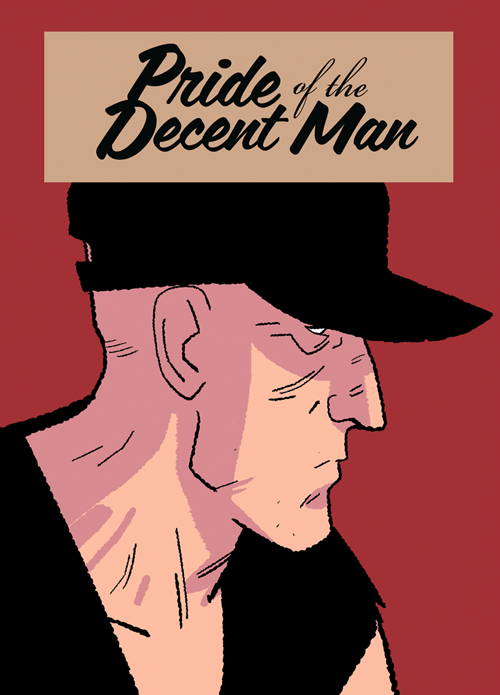 When I was first putting together the initial proposal for PRIDE OF THE DECENT MAN, I thought about the lettering quite a bit. I hadn’t hand lettered a comic in quite a while ( my old lettering instructor Mike Chen at Kubert School is rolling his eyes ), and working digitally as I have been for 9+ years, I’ve seen what computer fonts work best with my particular style of artwork. Fonts that’ve worked for me in the past wouldn’t necessarily look best with this new story. It’s quieter, more contemplative than my previous books, and with that should come an appropriate font ( or fonts ). I tried a few favorites from ComiCraft and Blambot I’d used over the years, but they didn’t look quite right for this project. They seemed to modern, too dynamic. I half-remembered one I’d used while working on an educational comic for UC Berkeley years ago. It was a font based on the hand lettering of Danish, NYC-based cartoonist Henrik Rehr, and designed by Johan Brandstedt. 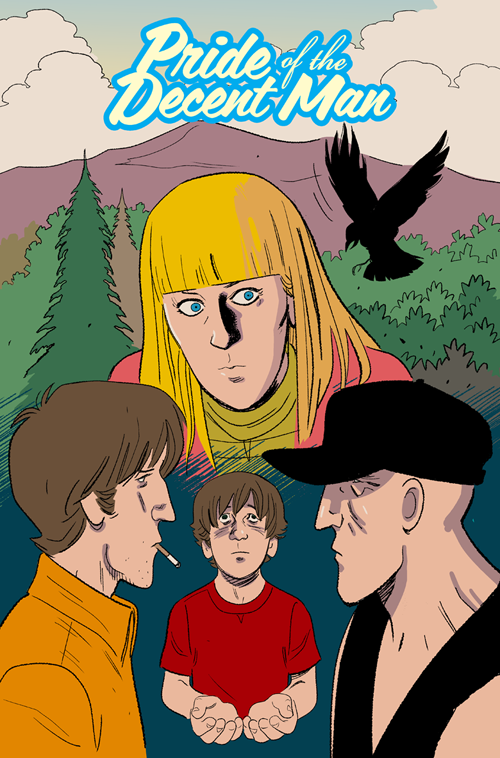 Henrik is a fantastic and prolific cartoonist, and his lettering is very organic and subtle on his many projects. I thought it would work for the dialogue PRIDE, and I think it does! It’s also fairly close to a better version of my own lettering, if I were patient enough to try. Of course, it’s been years of not using that particular muscle. Luckily in this day and age, it’s very easy to reach out to fellow creators through social media or email, so I did just that. I asked permission to use the lettering font in my book and he agreed. I call that pretty lucky. For the captions from Andrew’s notebooks, I found a similarly organic-looking font designed by Font Diner that looks like someone’s handwriting. They also enthusiastically gave permission, as Henrik had, and I think what came out in the end works in support of the storytelling. So please, seek out the work of Henrik Rehr as well as Font Diner if you can and support them. They’ve been good to me, and I can’t thank them enough. For more information, including how to order, and preview pages for PRIDE OF THE DECENT MAN, go here! Author T.J. KirschPosted on August 1, 2017 August 1, 2017 Categories New Releases, UncategorizedTags adobe illustrator, comic book lettering, font diner, Fonts, henrik rehr, lettering, Pride of The Decent Man, tj kirschLeave a comment on On Lettering And Fonts.